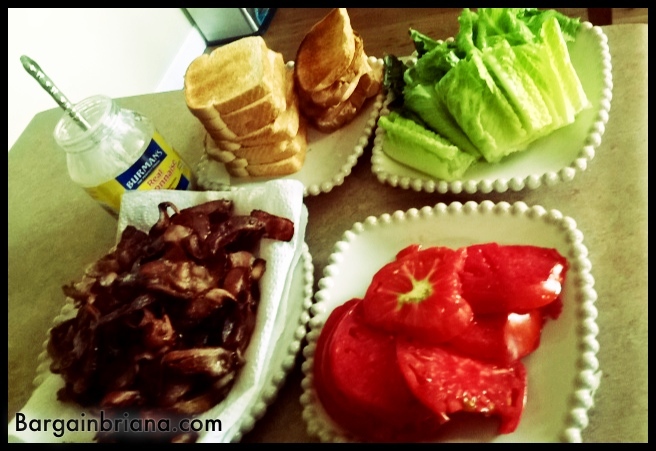 Fresh garden tomatoes from my parent’s garden on toast with romaine lettuce and olive oil light mayo! Delicious! So simple, yet packed full of flavor. I love garden tomato season as the “perfect” ones you buy in the store don’t has nearly has much taste. My daughter, who is also a vegetarian, called these MLT’s instead of BLT’s. (Ya know, mayo, lettuce, and tomato.) LT’s just didn’t sound right. 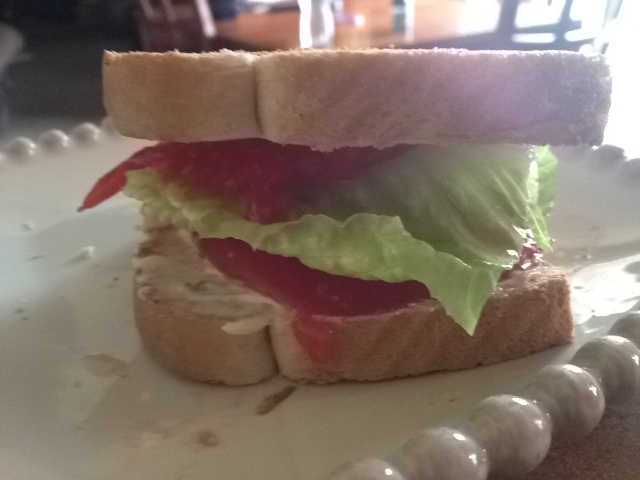 My husband loves tomato & mayo sandwiches. He just made one yesterday with the tomatoes from our garden too!